In the West, the Vocaloid community has remained a niche market, even as it has grown over the years. I can’t speak for other regions, but I gather that the situation is at least similar in most places that aren’t Japan. Although Hatsune Miku’s image and name are known amongst some anime fans and nerdy subcultures, I find that many still don’t really know what Vocaloid is. Every once in a while, however, an event or collaboration will bring Hatsune Miku and, by extension, Vocaloid some attention from a broader audience. As most of you probably know, 2014 was a big year for this: Miku opened for Lady Gaga on tour, she performed on the Late Show with David Letterman, and Pharrell Williams remixed “Last Night, Good Night (Re:Dialed)” by livetune. Each of these was met with its share of criticism from within the community concerning how Vocaloid would be viewed by the mainstream American audience, but Miku was becoming better-known through these popular names nonetheless. Although we haven’t seen Vocaloid alongside a Western artist as popular as Lady Gaga since then, Miku has taken some big steps recently. Miku Expo 2016 was a great success, with shows selling out across the US and Mexico. Anamanaguchi opening on the tour and making a song with Miku certainly brought in some new attention from their fans. What caught my interest these last months, however, is the most recent mainstream American musician to incorporate Vocaloid, rap/hip-hop artist Big Boi. 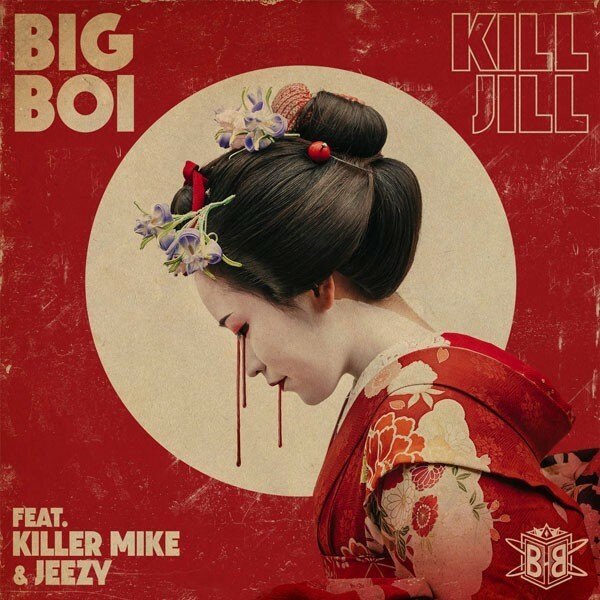 One of the singles released in anticipation of Big Boi’s latest album Boomiverse was “Kill Jill” (explicit lyrics), a song featuring Killer Mike, Jeezy, and a vocal sample of Hatsune Miku from DATA 2.0 by Aura Qualic. I was intrigued to hear that Miku was featured in a popular rap artist’s song, and I was especially interested since I’m a fan of Killer Mike. I expected the sample to be brief and insignificant. Much to my surprise, Miku’s part is actually a pronounced, vital part of the beat throughout the track. I love the effect that Miku brings to the song. Big Boi describes her voice in the sample as “haunting,” and I think that word fits it perfectly. “Kill Jill” is my favorite song on the album without a doubt, and I actually like how this sample is used in “Kill Jill” better than the original Vocaloid song (maybe just because I prefer hip-hop to trance). Other Western musicians have used and sampled Vocaloid in the past, but this song is distinct in the prominence of Miku’s voice in a genre that one might not typically associate as being influenced by Vocaloid. Furthermore, Miku makes a small appearance at the end of the song’s music video (explicit lyrics/minor sexual content) in the form of her long twintails and a cosplayer with her blue hair. In the Vocaloid community, we are used to Vocaloids being “credited” in songs, and while that’s not the case here (it’s only a sample, after all), Miku’s cameo in the MV is an important nod to the character. All-in-all, it’s more than some other Western artists have done to bring attention to the Vocaloid in their music, and it’s more than I would have expected from Big Boi. I’ve seen a few interviews with Big Boi that bring up Hatsune Miku, and he speaks favorably about using her in his music. This is the kind of press that I think will help Vocaloid be accepted by other music genres, even if it’s not in the exact same way we view Vocaloid within the community. I recommend you check this song out if you’re a fan of rap and/or hip-hop, and go ahead and listen to Aura Qualic’s DATA 2.0 while you’re at! Both are linked above. Feel free to comment with your opinion or recommendations! Thanks for reading! This entry was posted in Music Review, Uncategorized, Vocaloid news. Bookmark the permalink.